As the Aldi adverts would say (in the UK), I like this one and I like this one! 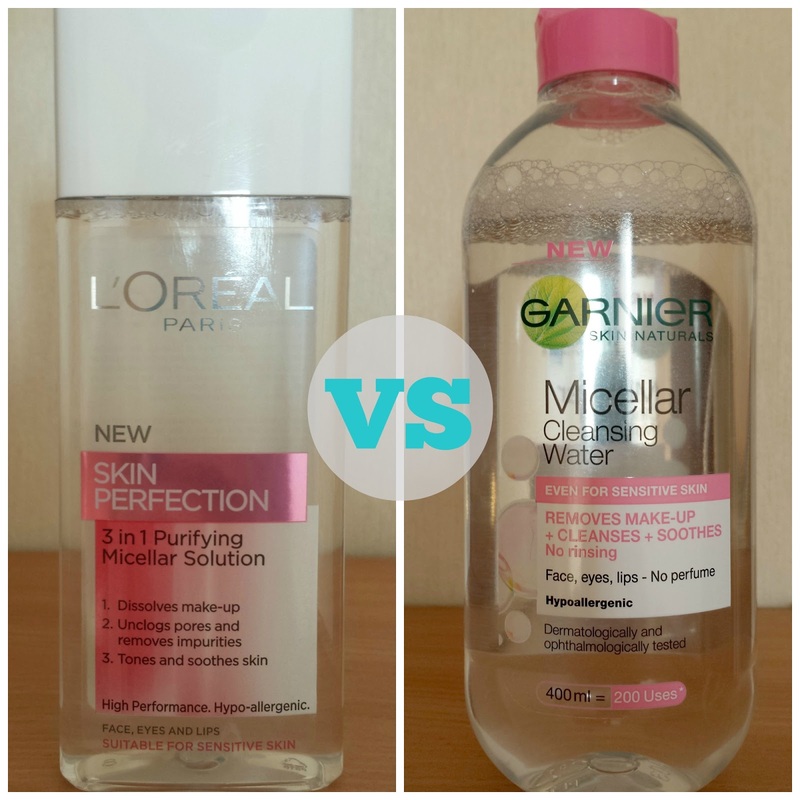 Both of these products have been raved about in the blogging world and I think the Garnier Micellar Cleansing Water has had the larger online presence. I really like the design of both of these bottles as they're both quite unique. The L'Oreal Micellar Solution is in a tall, thin, oblong bottle with a pop up lid covering the entire surface of the top. The Garnier Cleansing Water is in a big, round-edged bottle with a circular pop up lid. I would say the L'Oreal Solution is quite a classy design and looks more expensive than the Garnier, but the Garnier Water is fun and fresh looking. 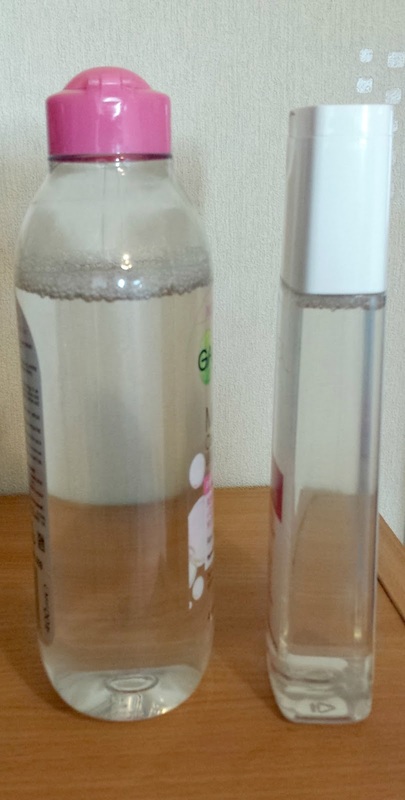 Both have gone for clear bottles with a dash of pink. The L'Oreal Micellar Solution is more expensive than the Garnier Cleansing Water at about £4.99 for 200ml, where Garnier ranges from £3.99 to £4.99 for 400ml. I've found that the L'Oreal Solution is £4.99 pretty much everywhere, but the Garnier Water is £3.99 in supermarkets and £4.99 in Boots and Superdrug. The Garnier Water is also twice the size, if you didn't notice. Both products are dead easy to use. You can use cotton pads, cotton wool balls, cleansing cloths; whatever you prefer and you just pour a little solution/water out and wipe it across your face. I use both of these on my eyes and have had no problems with stinging or burning or anything like that, so they're both really easy to use on the eyes too. Onto the product itself, I do like both, but the L'Oreal seems to have more of a kick when it comes to cleansing power. So far, I love both designs, and they are both as easy to use as each other. The only difference has been that you get twice as much for your money with the Garnier Water, however, I feel like you need to use twice as much as it doesn't cleanse your face as easily as the L'Oreal Solution. I find myself using about 6 cotton pads with Garnier, where I'm only using two with L'Oreal. The Garnier Water doesn't remove all traces of makeup without a little bit of elbow grease and this takes more time. The L'Oreal solution just seems to sweep across the face and voilà, perfectly cleansed skin. 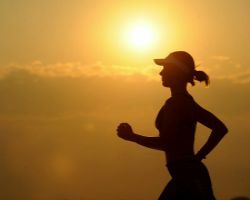 I think the result really comes down to the product itself and obviously your skin type and how much makeup you use can affect the results for you. 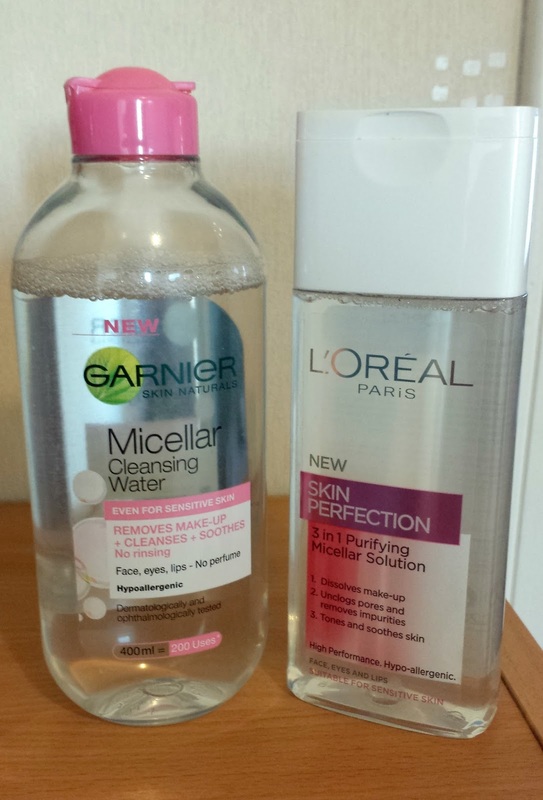 As I said at the start, the Garnier Micellar Cleansing Water is extremely well loved online, and although I do love it, the L'Oreal Paris 3 in 1 Purifying Micellar Solution just works better for me. Put it this way, I'm on my fourth bottle of the L'Oreal Solution, I love it that much! 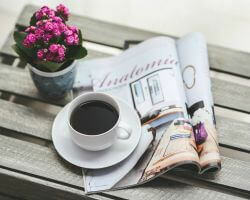 Why not try them both out for yourself and see which one you prefer?